Established in 2001, Dolly Char cleaning agency has a proven track record providing 18 years of excellence. 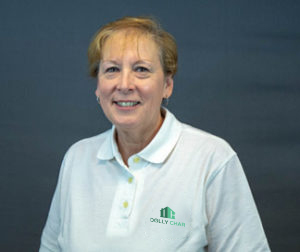 Dolly Char was established to take the hassle out of finding a reliable and quality domestic cleaner. We act as the broker to find you a cleaner which matches your needs. A cleaner that caters to you. We listen to your requirements and find the best cleaner to cater to those needs. We go above and beyond for our clients to try to ensure we can find a quality domestic cleaner that works for you. Whether you have pets, specific requirements, or simply require an ironing service Dolly Char is here for you. Our aim is to provide you with a service that gives you your free time back! Let someone else take the strain of housekeeping away from you. Dolly Char pride themselves on offering some of the most cost-effective cleaning services around. While we do charge an agency fee, our costs start from just £9.95 per hour*. Our promise to you is that our agency fee will never increase for the length of our commitment to us. Before Dolly Char was established, we heard the common issue of “I have a large dog which will be in the house so I cannot get a cleaner round to help me out”. Or “I work long hours so never at home to let a cleaner in”. Surprisingly, there is a solution for both these issues – Dolly Char. Tell us your living conditions and needs, and we will match them to a dedicated domestic cleaner. Whether they need to be dog-friendly, do some heavy lifting or are a dab hand at making tea, there is no job too big or too small for our experts. Majority of our cleaners are key-holders also, so they can arrive at any time, even if you’re not at home. We operate all over the UK meaning there is always a practical cleaning service close to you. 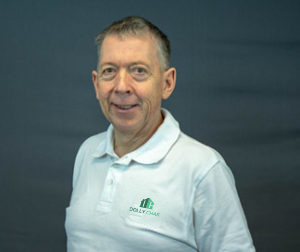 Robin founded the business back in 2001 and is still very much a front man for Dolly Char. His role encompasses all aspects of the business from managing, marketing, training, looking after franchisees, leafleting, interviewing prospective franchisees and accounting! Along side her husband Robin, Carol founded the business. While she is still involved in overseeing the business she is not involved as much in the day to day running. 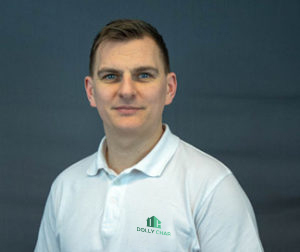 Steve has been with Dolly Char since 2011, he takes care of the Lincoln agency, including; marketing, interviewing clients and cleaners, land he gets involved with training and supporting new franchisees for Dolly Char UK. 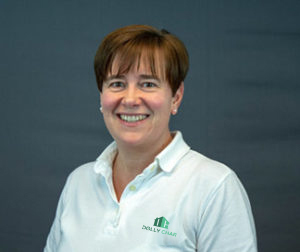 Being with the business since 2017, Sarah Jane helps with devising and or improving our templates to make operating the business more efficient. Sarah Jane also helps with training new franchisees. Dolly Char is not your regular cleaning service. We do not employ any of our cleaners. We simply act as the agent which is there to provide you with the best service possible. Acting as an agency means we can offer a wide range of expert cleaning solutions, tailored to your needs. We always have enough service providers to meet demand and no job is too big, or too small. I’d like to say I’m very happy with Rachel, my cleaner. She has done two great cleans and I have no complaints. I’m thrilled having a clean house again. Our services don’t just stop at cleaning. We offer a wide range of home help including meal preparation and ironing services. Simply tell us your needs and our agency will work hard to match the perfect service provider to meet your requirements. If you are fed up of working hard all week and then come the weekend find instead of being able to relax and enjoy yourself you are setting to and having to clean your own house from top to bottom and also iron etc, then stop! Let your local Dolly Char domestic cleaning agency take over your weekly household chores.